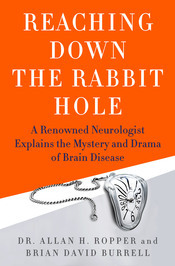 "Beautiful book, similar to the ones of Sacks, which tells of various neurological cases, prognosis and course. Very sad, but interesting and well-written. We’d love your help. Let us know what’s wrong with this preview of Reaching Down the Rabbit Hole by Allan H. Ropper. "Excellent book for the medical drama nerd. Interesting and refreshing novel about the passion of practicing medicine in an era when we are battling with the computer more than caring for patients." We’d love your help. Let us know what’s wrong with this preview of Adams and Victor's Principles of Neurology by Allan H. Ropper.